Manufacturer & Supplier of Amla Pulp. Our product range also comprises of Frozen Fruits, Frozen Corns and Exotic Fruits. 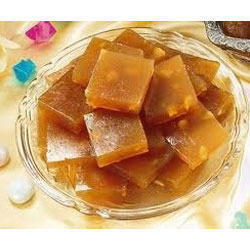 Our organization is involved in offering a wide range of Amla Pulp. These Amla Pulp is widely appreciated for its excellent taste and nutritional value. It has a long shelf life. These are frozen Amla commonly caters to the food industry and other related industries. The Amla Pulp, termed as rejuvenating herb, is used for medicinal purpose and washing hair.